Happy Wednesday Afternoon! 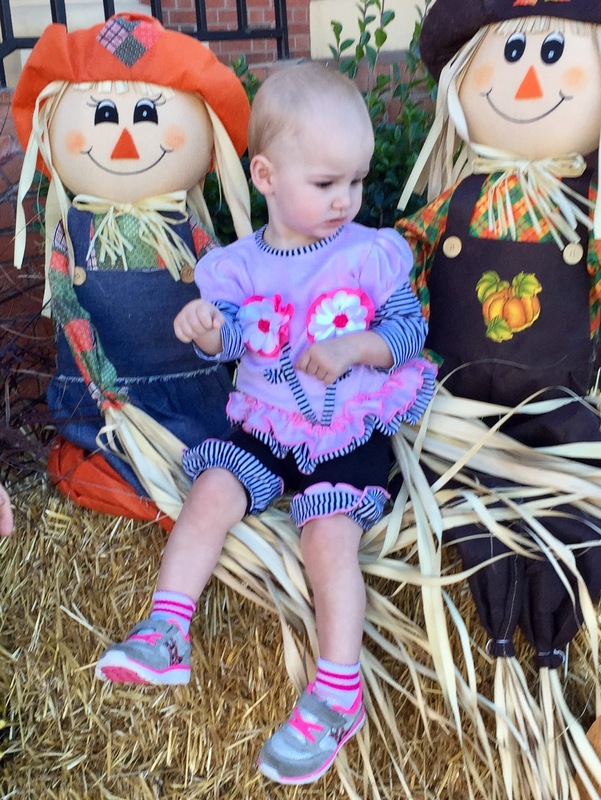 We had a fun-filled, active morning with Cosette even though her daddy is one miserable soul right now. He broke a tooth last week... went to the dentist who did a temporary filling which has made things all kinds of worse. We have him scheduled for a root canal next week but in the meantime he looks like he went ten rounds in the boxing ring... he's so puffy. He wasn't going to attempt to get Cosy at all but we decided to get her for a little while this morning so I have just a few photos. I found a treasure trove of old photos in my shutterfly account yesterday. I think this is the wave of the future... instead of finding old albums tucked away in the attic we'll find files in random websites with our old photos. It was bittersweet... pictures of people who are no longer in our lives for better or for worse reasons, no longer alive in some cases... places we used to live, things we used to do. I realized I desperately need my brows shaped. I realized how cute I was at my lowest weight. I miss that old body... not as much for the clothes I could wear but more for the things I could do then that I can't even think about doing now. Of course... back then I didn't have Cosette and Oliver and I can't imagine ever living in a world without them again. They bring so much joy... if I had known I would have pushed my kids to have kids much sooner... but of course, all things come when they're supposed to, don't they? In a lot of those photos I think about how much I was struggling to keep a roof over our head... and then when we were with Michael how much I was struggling to keep myself from drowning. God gives us what we're supposed to have each day - our daily bread - means more than just groceries for the day - it means the challenges and struggles we're capable of handling each day. Could I have handled this physical struggle in the midst of that emotional storm? No way. I don't have the adventures I used to have but I have so much more peace than I've ever had before. 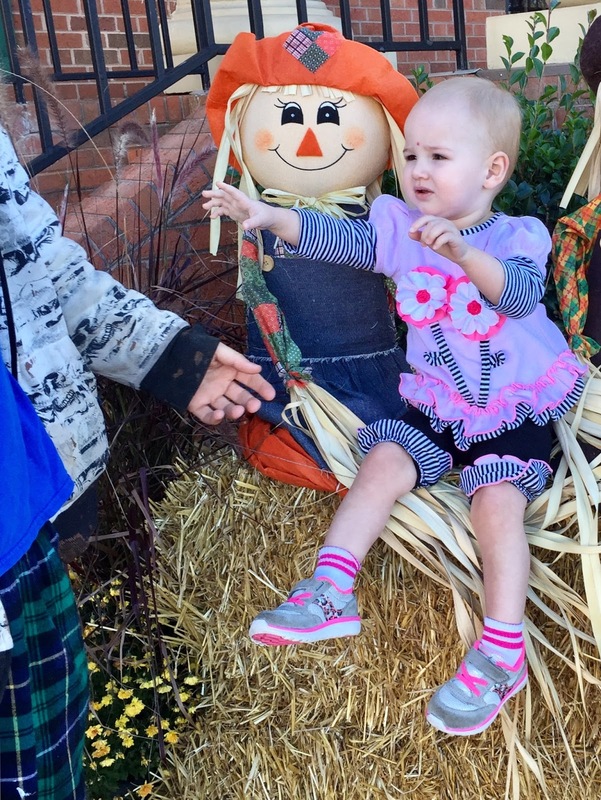 We ran a few errands with baby girl this morning and then came to visit with Mawmaw for a little while. Once she got sleepy (Cosy, that is) we took her home so she could have a good nap with her mama and so her dad could rest up. He's got to tough it out for another week before we can get his tooth fixed. It was the earliest appointment we could get. I'm so grateful that things are better with Cosy's mom so that we can take enjoy a little time with Cosy, even when we can't manage a full day. Hopefully we can see her for a little while when Austin is off again on Sunday. Hope your week is going well... 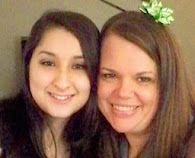 I've got some fun photos to share with you in upcoming posts so check back her later in the week! Love and hugs, y'all! Below... trying to get an "autumnal" photo while we were at the bank in town... Cosette was NOT having it! SAVE ME DADDY! 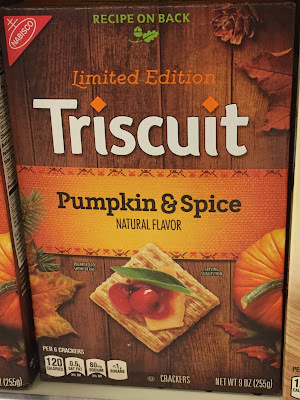 Is there a limit to the pumpkin spice craze? 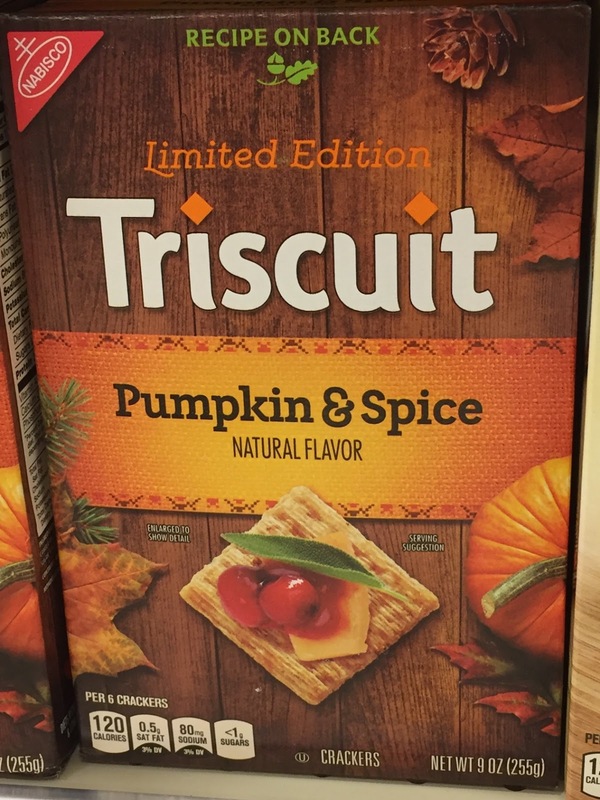 Yes, and I think we reached it with these... pumpkin spice triscuits. Hopefully you can get some Cosy time this weekend.